Medications become a part of life with rheumatoid arthritis and other inflammatory autoimmune conditions. They are meant to control our pain and inflammation and are prescribed by our specialists with the intention of improving our quality of life. Sometimes things don’t go smoothly in our interactions with our doctors, pharmacists and insurance companies. I am one of the fortunate few who have never had problems with my pharmacy, my doctor or my insurance company. I did, however, have a problem with me. “I never liked taking medication. I have harrowing childhood memories of my mother chasing me around the house with a vile cough syrup in her hand, and what I perceived as a giant spoon. Despite my protestations, I would swallow that dreadful-tasting fake cherry fluid with a whole lot of fuss, making sure she saw, and heard, every disgusted face, and sound, and witnessed the horrible after effect of what that medicine did to her only daughter. A trifle dramatic perhaps, but for several years after, I did everything I could to avoid taking cough syrup. This stubborn theory eventually evolved to include every type of medication. I turned to the natural world – I used hot water bottles to conquer cramps; I burned a calming lavender infusion to deal with headaches; I swore by my grandmother’s holy grail of hot toddies when colds or nasty viruses infested my body ( and I still swear by them); and then RA slipped into my life, resurrecting the image of my mother chasing me around the house with a bottle of cough syrup. I’ve come a long way from that kid running from her mother. My medications keep me moving, protect my joints, and reduce my pain – but I have also incorporated other kinds of “medicine” into my life –the occasional trip to the local hot springs does wonders for my body and my mind; the odd treat to a hot stone massage; hot baths, heating blankets, ice packs and above all, pleasurable distraction. I’m not perfect. There are still times when my own stubborn nature will resist – but then I remember all the things I’ve accomplished and the things I have yet to do, and that awareness is the spoonful of sugar that overcomes my defiance when the image of that bottle of cough syrup threatens to resurface. Thanks to Lawrence ‘rick’ Phillips for hosting RA Blog Week. Sounds like you have figured out a way to accept your medications along with some more “natural” things like hot springs. 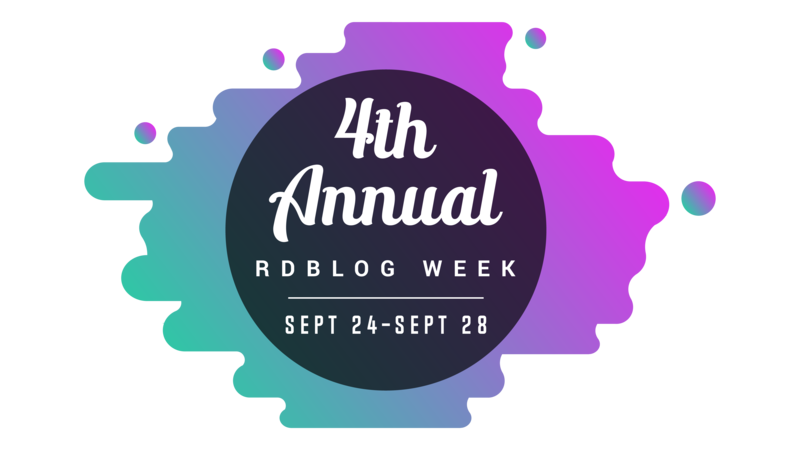 I’m glad to have discovered your blog through RDBlog Week. 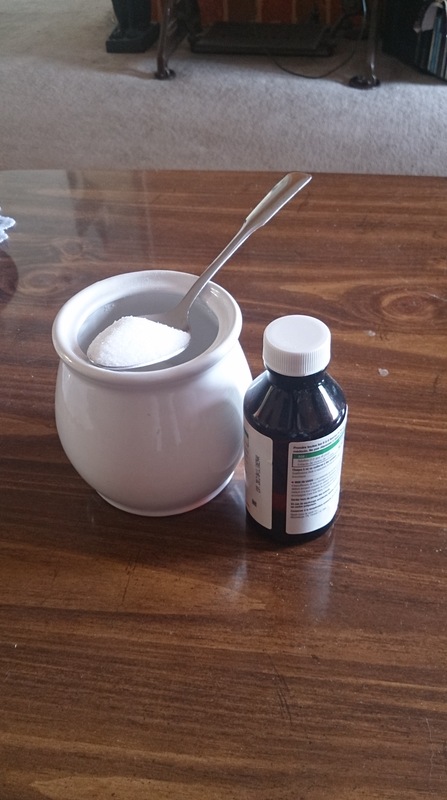 Yes, it took some doing, but I have accepted my medications 🙂 It’s a pleasure to connect. I look forward to reading about your journey. WHY IS IT ALWAYS CHERRY?? ?Sorry, I feel strongly about this. 🙂 When I was a child, I was given what may have been antibiotics for my JA in a vile cherry flavour (also with a giant spoon) and since then, I have loathed that taste. I’m just coming out of a bad cold and chest infection and guess what, I needed cough syrup. Everything at the store was cherry flavoured and so was the one with codeine also prescribed for overnight. It’s worth it to sleep, though, so I sucked it up. And then I had to get one for during the day. The cherry flavoured one from the store made me nauseated for over an hour, so back I went to my doctor. Who prescribed another one. Last time I had it, it was orange flavoured, which was fairly grows combined with the medication, but at least not cherry. They have changed the flavour. Want to guess what flavour it is now? Is it still cherry? 😉 Hope you are on the road to recovery.